Sometimes people change their minds and come, for a variety of reasons, to reject belief in God. What has always been very surprising to me is how often the God they are rejecting is not the God I believe in either. Okay, but the only problem is neither do I. And neither does any thoughtful Christian I know. Now I realize that the “bearded guy in the sky” moniker may just be shorthand or a kind of tongue-in-cheek way to refer to a more robust conception of God. However, the point is this conception, or anything that it may refer to, is radically different from the biblical conception of God. The biblical conception of God is one where God is wholly other, eternal, maximal in all perfections, knows and intends the end from the beginning, the creator of all, the self-existent being and upon whom all other being depends. 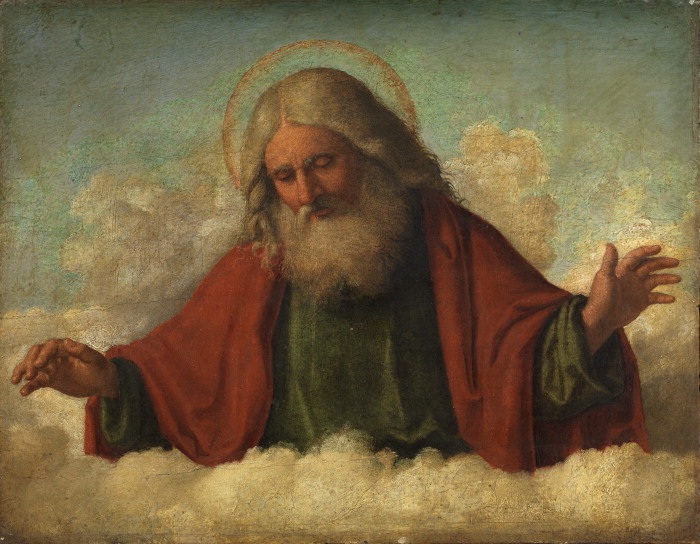 So if we imagine a spectrum of concepts where the bearded guy in the sky is at one end and the very rich biblical conception of God at the other, I want to suggest many times people are objecting to something closer to the bearded guy in the sky rather than the biblical understanding of God. Said somewhat differently, the biblical God can withstand many of the objections the bearded guy in the sky cannot. We can see this with discussions about the problem of evil. The key premise in an argument from evil is to say there is evil for which God would have no justifying reasons. On this version of the argument, it is conceded that the concept of God is not logically contradictory with just any evil. Rather it is evil that has no justifying reason that is inconsistent with the existence of God. It unlikely that every ounce of evil in the history of the world has a justifying reason, the atheist claims, thus, this implies a good and all powerful God does not exist. I can’t help but think there is something like a bearded guy in the sky in view in the key premise of the argument (namely, that there is evil for which God would have no justifying reasons). It’s true there’s a lot of evil, pain and suffering in the world. But is it really plausible that God could have no justifying reason for allowing it? Well this seems plausible only if we are talking about God as the bearded guy in the sky. But it doesn’t seem at all plausible (at least to me) if we are talking about the biblical God. Why couldn’t the eternal, self-existent God who sees the end from the beginning have justifying reasons for allowing the evil we see in the world? We need not know what those reasons are specifically to reasonably believe that the infinite God of the Bible could have them. It’s important to see that this isn’t a dodge or an appeal to mystery. It is more of an appeal to the bigness and holiness (in the technical sense) of God and to say that many times perhaps we struggle because we have a much smaller and less interesting view of who God is. I recently heard a former Christian say the turning point for him came one night while camping out under the stars. He asked God, if he was there, to give him a sign. He hoped to hear an audible voice or see a shining light. But nothing happened. He moved to looking for something out of the ordinary like a shooting star or a big wave to crash. Nothing happened. He got desperate and asked for anything, a fuzzy feeling or the wind to pick up. But nothing happened. He subsequently walked away from the faith. I can certainly relate to having the desire to see God show up in obvious ways to help assure me he is truly there and he loves me. But doesn’t it seem a little unreasonable to demand that God relates to us in the way we want him to? Maybe the way we want him to doesn’t serve God’s purposes and maybe, just maybe, God’s purposes are far higher and far better than mine. You might be tempted to object that, on this view, God is like a father who neglects his children, leaving them bereft and unloved while he sits in stony silence thinking “I just gotta be me.” But to object like this is to fail to take seriously the idea that God might have a genuine, robust personality and that it might be deeply good for God to live out his own personality. One odd feature of much contemporary philosophy of religion is that it seems to portray God as having a “personality” that is almost entirely empty, allowing his behavior to be almost exhaustively determined by facts about how it would be best for others for an omnipotent being to behave. But why should we think of God like this? God is supposed to be a person not only of unsurpassable love and goodness but of unsurpassable beauty. Could God really be that sort of person if he’s nothing more than a cosmic, others-oriented, utility-maximizing machine? On that way of thinking, God—the being who is supposed to be a person par excellence—ends up having no real self. So, as I see it, silence of the sort we experience from God might just flow out of who God is, and it might be deeply good for God to live out his personality. If that’s right, and if our suffering in the face of divine silence is indeed unreasonable, the result of immaturity or other dysfunctions that we can and should overcome anyway, then I see no reason why even perfect love would require God to desist from his preferred mode of interaction in order to alleviate our suffering. So I think we should be very careful when we say a good, all powerful God would (or wouldn’t) do _____________________. Maybe God is bigger and richer and far more confounding than that. Rae (2011) “Divine Hiddenness, Divine Silence” in Philosophy of Religion: An Anthology, 6th edition, edited by Louis Pojman and Michael Rea (Boston: Wadsworth/Cengage). See here for a copy of the full article. I assume you believe Jesus is God, if not you can ignore the paragraph that follows. According to the New Testament, Jesus appeared to Paul and many others after his death and resurrection. It was this appearance that converted Paul into a Christian. Jesus even appeared to “Doubting Thomas” and let him feel his wounds from the crucifixion. I don’t know if demanding God do this for everyone is reasonable, but I think it would be reasonable for God to do so if he wants everyone to believe in and worship him. If it was important for God to relate to them in that way, why wouldn’t we get the same treatment? Good thoughts, but I’m not so sure. I think worship requires love and I don’t think everyone would love and worship God if he was simply more obvious. Some would just want more and more, for example. But, as you say, my point was about us demanding God show up in those ways. I appreciate you for allowing my comment even though I didn’t use my real name. I wanted to be anonymous, but I’ve decided against that. My name is: Eric Stapper. I agree not everyone may believe it was God that appeared to them in that way and they would want more and more proof, but that is irrelevant to my question. I agree not everyone may love and worship God if he appeared to them in that way, but that is also irrelevant to my question. For Paul, Christians professing their faith and any scripture in existence at that time wasn’t enough for him to love and worship God. It was the appearance from God that caused Paul to go from persecuting Christians to becoming a Christian himself. So we have at least one example according to the Bible, where this was effective in turning someone from being against God to loving and worshiping him. God should know this was effective. Most Christians claim the God of the Bible is omnibenevolent (unless maybe you’re a certain type of Calvinist). Even if only potentially more people did love and worship God if he revealed himself today the way he did in the Bible, why wouldn’t God do that if he is omnibenevolent? If we truly live in a world created by an omnibenevolent God where we must believe this God exists (and the other tenets of Christianity depending on the version of Christianity you believe in) in order to save ourselves from eternal torture why would that omnibenevolent God give some people evidence in the form of appearances, which has proven to be effective, and not others? God is willing to have his son tortured to death, but won’t appear to everyone – the act of which should be nothing more than lifting a finger for an omnipotent being. I’ve never had any such experience described in the Bible for me to either disbelieve was actually God or for me to know was God and decide to reject him anyway. I’m confident many others have not had such an experience either. It’s not a matter of God revealing himself in the way we want him to, it’s a matter of God revealing himself in a way that he knows is effective, having done so in the past with success in gaining another worshiper, and extending that to everyone. My point is I don’t think the God of the Bible is omnibenevolent and this is only one reason for thinking that. I’m aware that this doesn’t mean the God of the Bible doesn’t exist. It’s possible the God of the Bible does exist and is not omnibenevolent – that means he shouldn’t be labeled as such. Hi Eric, Again these are really thoughtful comments. You are raising the problem of divine hiddenness and it is one that I have definitely struggled with. And I am fine to admit I don’t think I have a knockdown drag out solution to the problem you raise. I don’t know why God doesn’t appear more obviously to everyone like he did to Paul on the road to Damascus. But what follows from this? Where i come out is to say that for this to be a problem for believing in the existence of God, it would have to be there is no way God has a good and justifying reason for being, in some senses, hidden. That’s a really strong claim and not one that is very easy to justify. I find it plausible that God is plain to see in the nature and existence of the world. But God doesn’t reveal himself more obviously to everyone since he is not after mere belief. He is after love and worship. It seems plausible to me that if God did more of the spectacular, then perhaps many people would just want more and more of the spectacular and not love him. Others would perhaps feel that God is being coercive and even violating by being so obvious. They would want to be free of his watchful eye. In any case, it is not clear to me that even the majority of people would come to love and worship God as a result of God’s being obvious. Paul did respond appropriately. Perhaps some would and some wouldn’t. It’s tough to say. The point is that I may not be able to say exactly why God isn’t more obvious, but I don’t think it follows that, therefore, God must not exist. I think there are a lot of reasons, arguments and evidence to believe that an all good, all powerful God exists. I recognize that things like hiddenness and evil are indeed problems. But, for me, the weight of the evidence falls clearly on the side of God. I hope that helps. There is a growing literature on this issue and I would encourage you to read others as well. Schellenberg is a strong source for an atheist view. The article by Mike Rea cited in the post is a great starting place from a theist’s perspective. I’m not saying it follows that God must not exist because he doesn’t appear to everyone the way he did to some people in the Bible and I believe I made that clear in my comment. I did say that means the God of the Bible is not omnibenevolent. I realize that maybe we don’t or can’t know what an omnibenevolent god would do, but then any positive or negative assertions regarding that god’s omnibenevolence are mere opinion. At best we can compare the God of the Bible with the idea of omnibenevolence we hold and see if they match. If it can be shown that the God of the Bible did something that was effective in getting someone to worship him (which means they have saved themselves from eternal torture in Hell which is where God would send them if they didn’t worship him) for some people and he hasn’t done that for others, I think that demonstrates unequal treatment of people on God’s behalf which I’d say is not a characteristic of omnibenevolence. If we say that the God of the Bible is still omnibenevolent even though his actions or lack of certain actions don’t match our idea of omnibenevolence because he may have a good and justifying reason then what are we really saying? How can we know that a Christian is speaking about God accurately, as if they could actually know what they claim about God, or when they are correctly appealing to the mystery of God? We can only be certain that the Bible is a collection of ancient texts. Any claims of the Bible being God breathed through men, divinely inspired, the word of God, divine revelation, etc. are all unproven. I think the God of the Bible (if such a character exists) is not omnibenevolent. I think there are a lot of reasons, arguments and evidence that if an all good, all powerful god exists, it’s not the God of the Bible. I think it’s important to think critically of the Bible or any other text claiming to be divinely revealed before believing its claims. A Christian claims not only that a god exists, but that that god is the God of the Bible – which they could be right about, but I hope they’re wrong because the God of the Bible is a joke (one word term for many arguments against the God of the Bible being a really good or important character for living one’s life). Of course, I’m using my mind (which is supposedly given to me by the God of the Bible) to think rationally about the claims of the Bible. I assume you accept faith as a good way to direct your beliefs and actions. I don’t and I bet that is the key distinction between us and how we handle the Bible. To clarify what I meant by joke: a one word term I use to refer to the character of the God of the Bible as a result of many arguments against him being any really good or important character for living one’s life. I’m not saying the arguments are a joke. I’m saying the arguments are good and convincing.